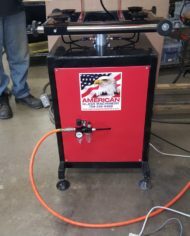 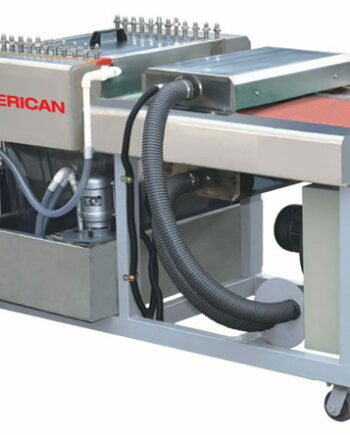 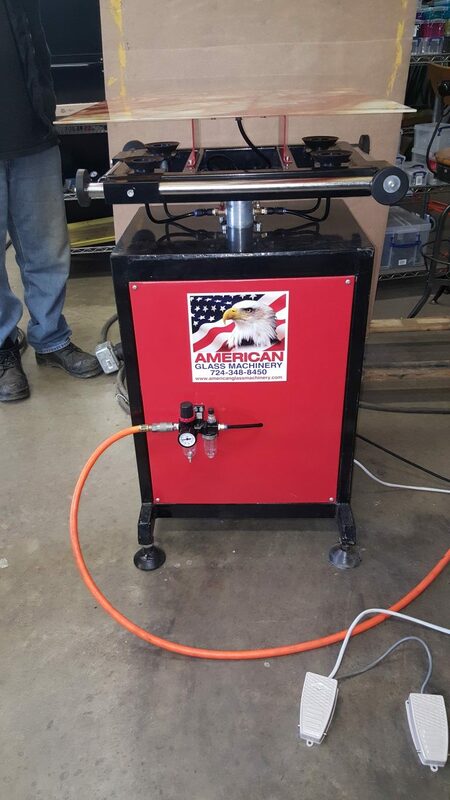 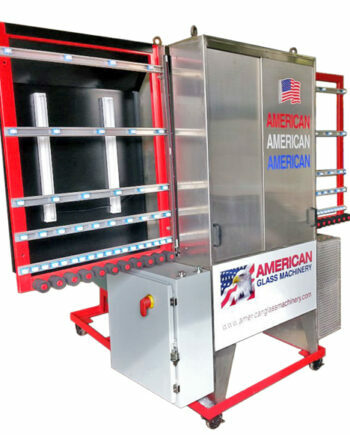 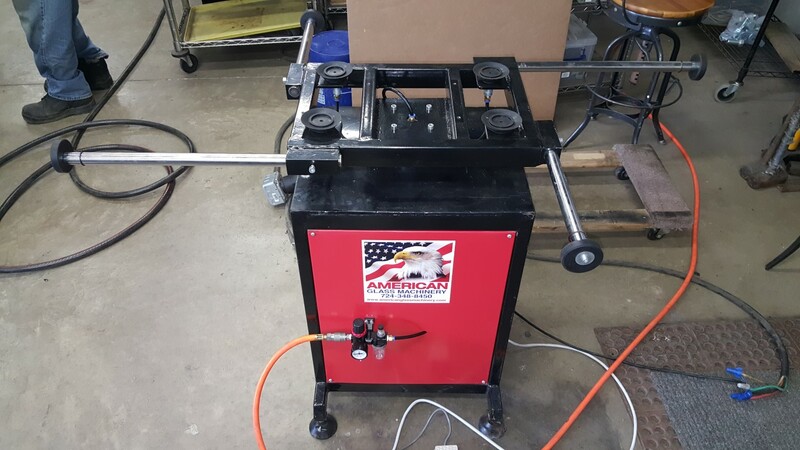 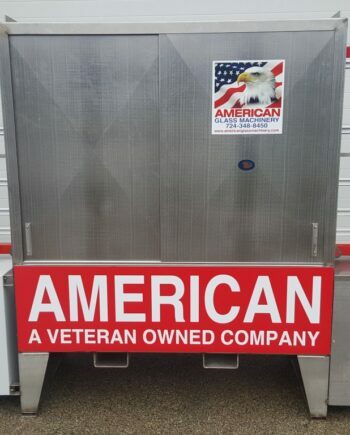 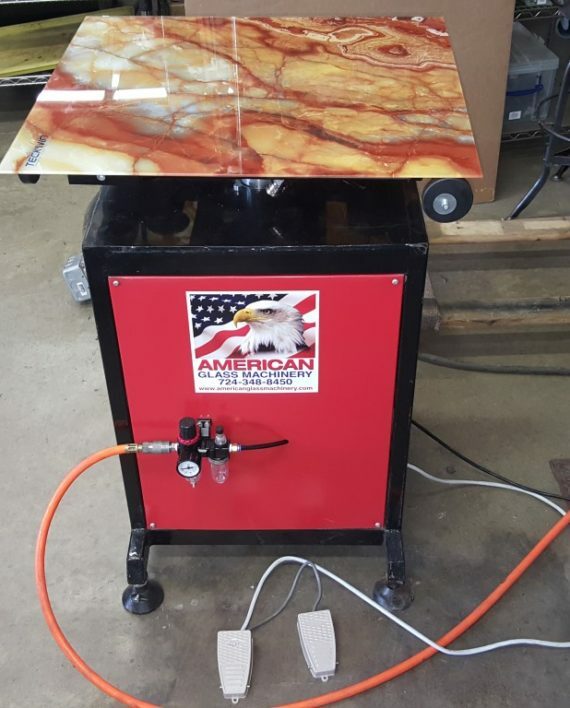 The American Rotating Sealing Table speeds up insulating glass production when applying butyltherm spacer to the glass surface. 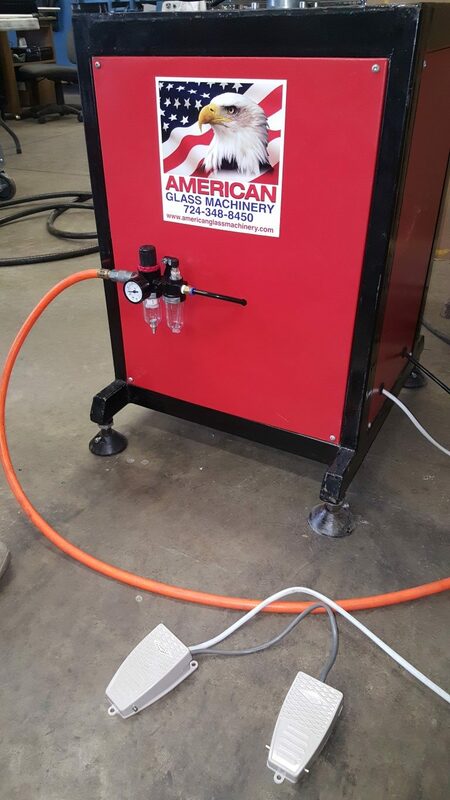 This table is also used during the application of any back-filling sealants such as Hot Melt Butyl, Urethane, Silicone, etc. 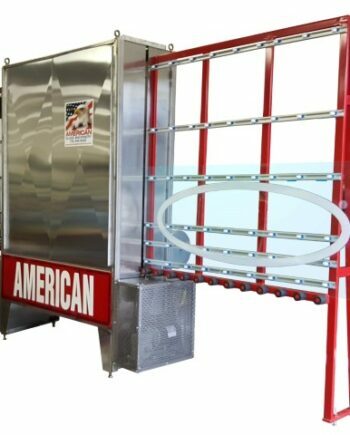 It is used to seal single, double, triple, and stacked insulating glass units with a maximum size of 78″ x 78″. 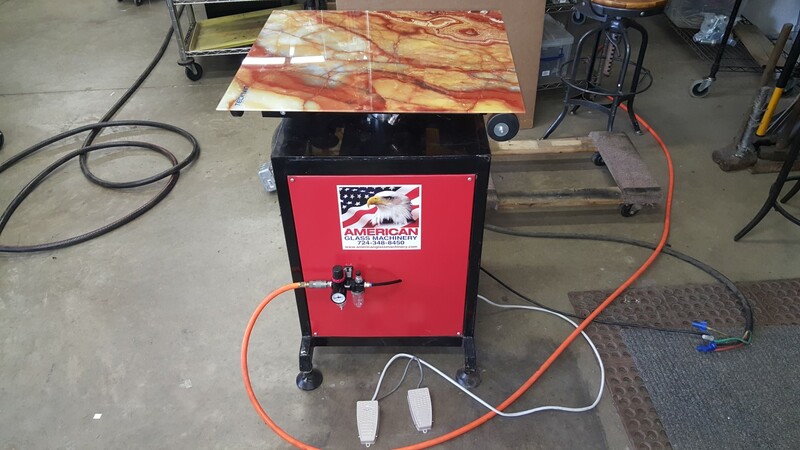 The American Rotating Sealing Table speeds up insulating glass production when applying butyltherm spacer to the glass surface. 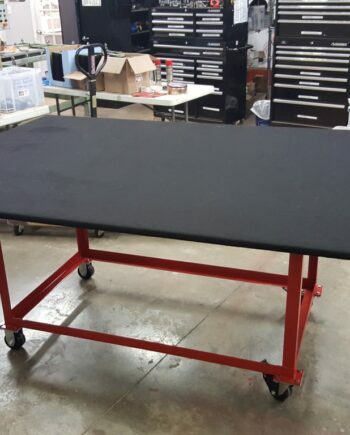 This table is also used during the application of any back-filling sealants such as Hot Melt Butyl, Urethane, Silicone, etc. 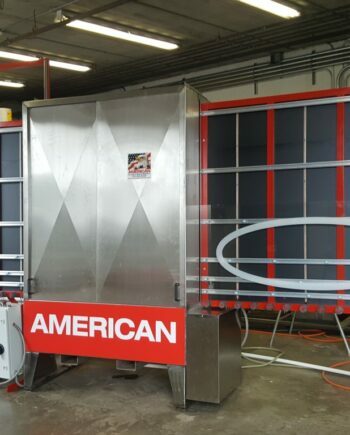 It is used to seal single, double, triple, and stacked insulating glass units with a maximum size of 78″ x 78″. 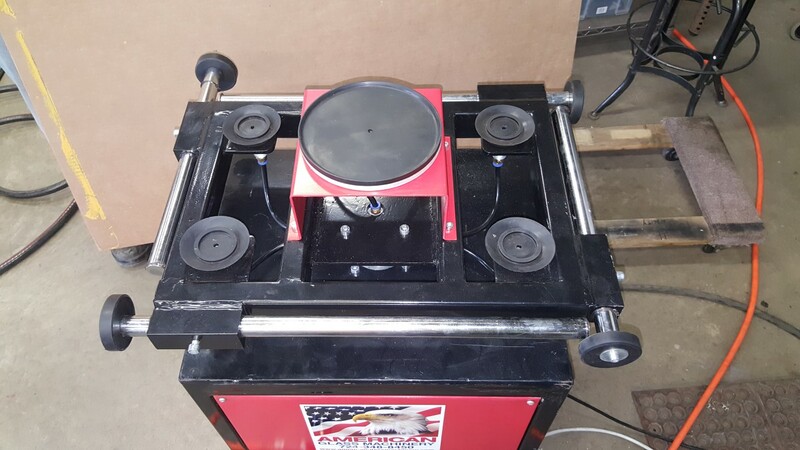 This table has a detachable suction cup in the center of the table to give this machine the capability of working with glass as small as 7″ x 7″. 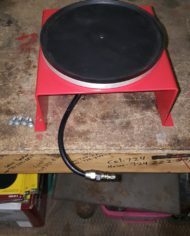 This small cup is easily removed with 4 allen bolts, and a quick disconnect air line fitting. 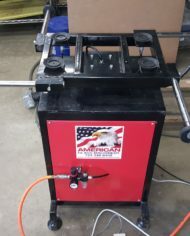 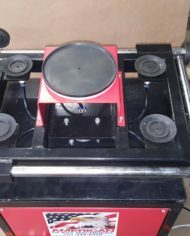 The rotating sealing table features 2 pedals; one for vacuuming the glass to the table, and one for automated rotation. 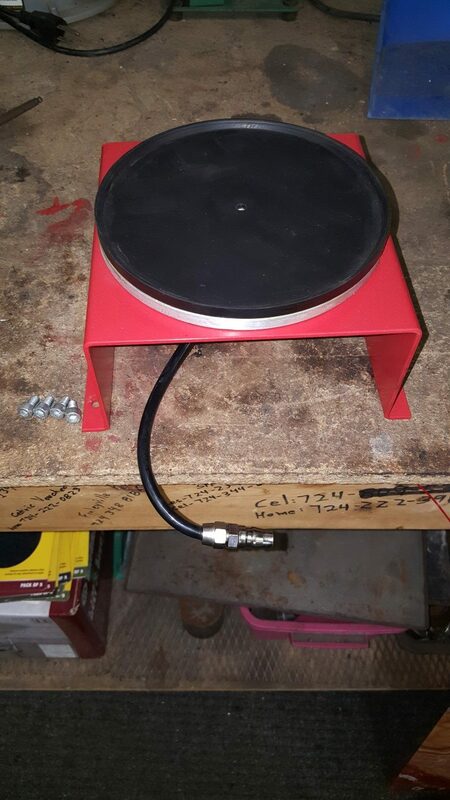 Press the pedal once and the glass will rotate to the next side.